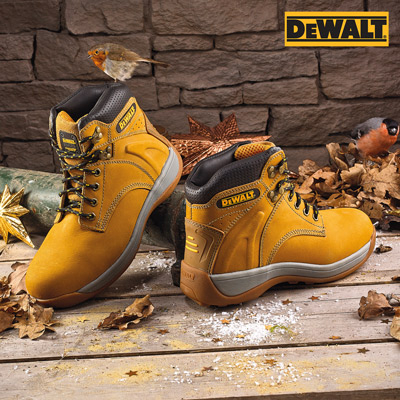 DEWALT Extreme 3 Safety Boots. A must have and Mandatory in the heavy industrial environment. Featuring a lightweight construction, whilst also offering high levels of safety for the workplace. They are heat resistant to 300°C and the steel toe caps can withstand up to 200 Joules of pressure. Also featuring, an oil and slip resistant sole with moulded mid sole providing additional foot support, and dual density removable insoles increasing wearer comfort. Uppers are manufactured from hardwearing full grain leather.